Leo Frederick Burt (born April 18, 1948) is an American man indicted in connection with the August 24, 1970 Sterling Hall bombing at the University of Wisconsin–Madison campus, a protest against the Vietnam War. The bombing killed physics researcher Robert Fassnacht and injured several others. Burt was reportedly involved in making and planting the bomb. He has been a fugitive from justice since 1970, his status and whereabouts unknown. Born in Darby, Pennsylvania, Burt grew up in a Catholic family in Havertown, Pennsylvania. He attended St. Denis Parochial School and Monsignor Bonner High School, an all-boys parochial school, where he was an athlete. He enrolled at the University of Wisconsin–Madison, where he was involved in the varsity crew team. After being cut from the team, he became more active in journalism and student politics, working for the university's campus newspaper, The Daily Cardinal, with future fellow bomber David Fine. Burt became radicalized after being beaten by a policeman while covering a protest against the Kent State shootings. The Sterling Hall bombing on the campus of the University of Wisconsin killed Robert Fassnacht, a postdoctoral physics researcher, and caused injuries to three others. It also caused $2.1 million in damage. 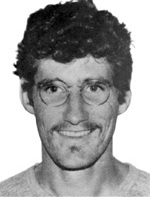 Burt was reportedly involved in making and planting the bomb and also introduced his fellow bombers David Fine and Karl Armstrong to one another in July 1970. Burt and his associates fled to Canada where they were tracked by the FBI. One of the last times he was heard from was August 30, 1970, when he and David Fine escaped from their apartment building in Peterborough, Ontario, Canada, as the police closed in on them. Burt left behind a wallet with a fake ID using an alias of Eugene Donald Fieldston. Burt was indicted by the federal government on September 2, 1970 for sabotage, destruction of government property, and conspiracy. Despite having been on the FBI Ten Most Wanted Fugitives list for six years (September 4, 1970, to April 7, 1976), Burt has not been captured and is still at large, with an FBI reward of $150,000 outstanding for information leading to his arrest. In addition to the federal charges, there are state charges still pending against Burt. On September 29, 2007, Burt was featured on the Fox Television series America's Most Wanted as the "Ghost of Wisconsin". In 2010, near the fortieth anniversary of the bombing, several tips on Burt's possible location were received by the FBI, including a sighting at a Denver homeless shelter. Some have speculated that he could be in the St. Catharines area of Ontario, an area he had visited during summers in his youth. Numerous anonymous tips have also indicated sightings in Lakewood, Washington as recently as 2010. ^ Michael Fellner (May 18, 1986). "The Untold Story:Part 1". The Milwaukee Journal's Wisconsin Magazine. Retrieved January 4, 2010. ^ a b "Wanted Domestic Terrorist - Leo Frederick Burt". FBI. ^ a b Katherine M. Skiba (June 1, 1986). "Where is Leo?". The Milwaukee Journal's Wisconsin Magazine. Retrieved January 4, 2010. ^ UW Alumni magazine, On Wisconsin. Doug Moe. The Last Fugitive Archived 2008-08-28 at the Wayback Machine. Summer 2005. ^ "Sterling Hall toll set at $2.1 million," Archived 2008-07-19 at the Wayback Machine Wisconsin State Journal, August 17, 1972. ^ a b Markon, Jerry (September 21, 2010). "After 40 years, search for University of Wisconsin bombing suspect heats up again". Washington Post. Retrieved September 22, 2010. ^ "Leo Frederick Burt profile". America's Most Wanted. Archived from the original on 2007-10-21. ^ "The last radical - dead or alive?". Philadelphia Daily News. July 15, 2010. Archived from the original on August 19, 2010. This page was last edited on 21 February 2019, at 21:20 (UTC).